Learn how to effectively deal with someone attempting to violently steal your car. Ninety-three percent of carjackings occurred in cities or suburbs, and a weapon was used in 74% of carjacking victimizations. Learn how to defend against potential carjackers in this four hour hands-on seminar. 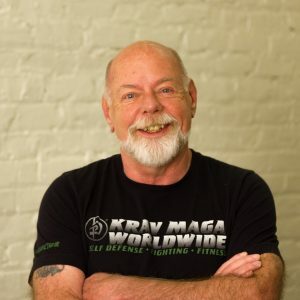 Krav Maga Black Belt and KMSF Owner Barny Foland will take you through and teach you how to use effective Krav Maga self defense techniques in and around real vehicles, addressing single and multiple attackers, with and without weapons. You’ll get the opportunity to practice the situations in your mind and in real-time, exploring decision-making opportunities. No previous training is needed for participation. Important note: Students who complete this seminar will be eligible to attend advanced seminars on this material. *NOTE: Cancellation Policy – The challenge is limited to a small number of participants. If you cancel 14 days before the program starts you will get a full refund. 7 days before the program starts there is a $50 charge for cancelling. If you cancel after the challenge starts there will be no refunds as we cannot give your place to someone else so you must use the payment toward a regular membership, sign up for another future challenge, or give your space to another person.